A two-time graduate of Africa University from the Democratic Republic of Congo (DRC), Rev. Dr. Mande Guy Muyombo, has recently been elected Resident Bishop for Congo Central Conference in the Southern Congo Episcopal Area. Muyombo was elected on the fourth ballot, being the only candidate having grossed 278 votes in the elections that took place on 18 March at the Quadrennial meeting in Kamina, DR Congo. At 44 years of age, Bishop Muyombo who is Africa University’s first graduate to be elected bishop, is the youngest bishop in the Congo Central Conference. Muyombo who is also the Executive Director - Global Mission Connections of the United Methodist (UMC) Board of Global Ministries, was consecrated on 19 March 2017 at Wakadilo Conference Centre in Kamina. Following the appointment, Professor Munashe Furusa – Vice Chancellor of Africa University, congratulated Bishop Muyombo, his family and the United Methodist Church for entrusting the congregants to the elevated clergy. 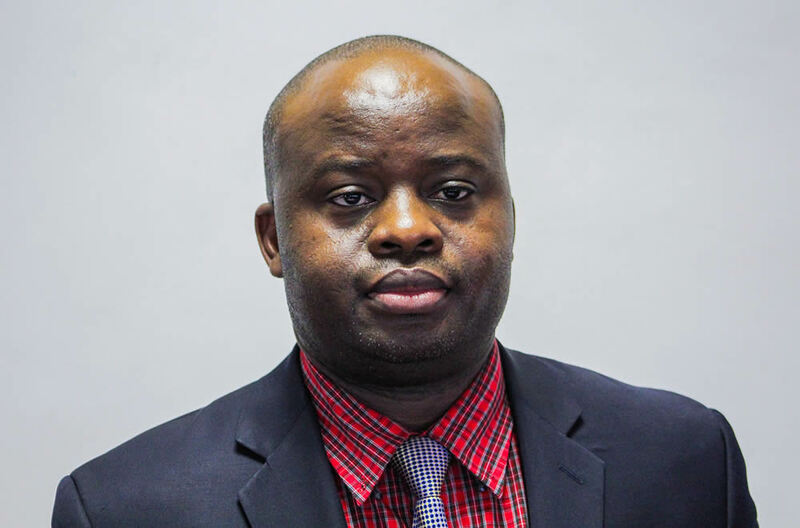 “We are truly investing in Africa’s future and I have great faith in the ability and leadership qualities of Bishop Muyombo.” said Professor M. Furusa. Bishop Muyombo holds a Bachelor’s (Department of Theology) and Master’s Degree (IPLG) from Africa University as well as Master’s Degree in Theology and Doctor of Ministry from Saint Paul School of Theology, Kansas City, USA. After working as President of Kamina Methodist University, he served as the Executive Secretary for Africa at the General Board of Global Ministries and was subsequently promoted to Assistant General Secretary in the Missions and Evangelism Department. Bishop Muyombo is married to Blandine Mujinga, an Africa University alumna and they have three daughters and a son.